Make the wrapping as nice as the present, use acetate and foam tape to create a fun confetti gift bag. Punch out hearts from a variety of different papers and use as the filling, we used the romantic First Edition Floral Pavilion. Create a card as unique as the one you love using a window card and some gems to add sparkle. Tell your loved one why they are special with these fun paper Fortune Cookies that feature a romantic sentiment or gesture inside. 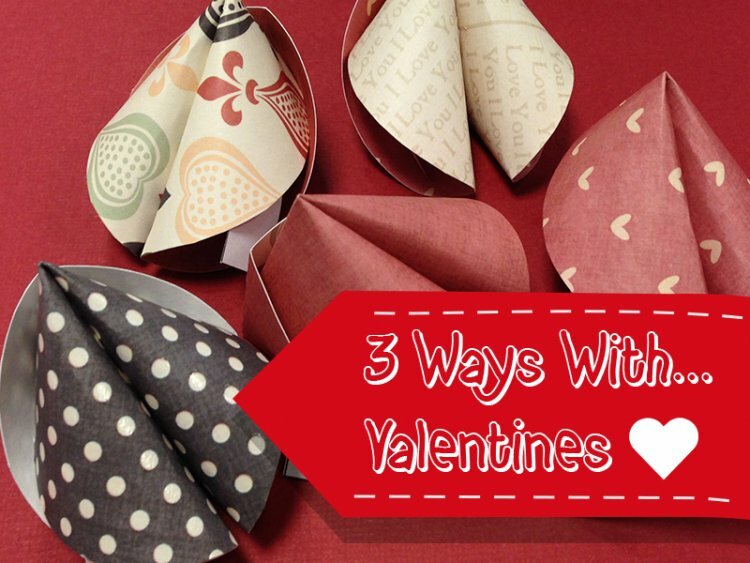 What Valentines Projects Do you have planned, let us know below and why not share them in our project gallery.